By Jason Price 1 Comment - The content of this website often contains affiliate links and I may be compensated if you buy through those links (at no cost to you!). Learn more about how we make money. Last edited March 20, 2018 . I love helping people with their finances, it’s a passion of mine. You can see it in the One Money Design tagline – helping people achieve true financial freedom. Money Map coaching involves walking with people through a Biblical financial study and helping them use practical financial tools for their finances (such as setting up a spending plan (budget)). Often people seek help because they can’t make debt payments, they can’t stop using credit cards, they’re tired of living month to month, or they think there just isn’t enough money every month to meet their needs. I understand how it can be challenging for people to determine the underlying reasons why these things are occurring. It’s difficult to gain proper perspective to analyze your finances because, after all, they’re your finances, right? Sometimes, emotions are involved. When it comes to spending and debt, these emotions can run high and lead to stress and anxiety. Especially, when the problems get big. Before you know it, you can’t think clearly. But sometimes it’s a lack of knowledge on how to look closely at ones situation. And sometimes it’s just a lack of motivation until the problems get too big to handle. However, there are some basic steps in evaluating your budget and spending decisions and determining what could be behind some of the problems mentioned. It’s easy to get started and can be of help in solving spending problems, or in preparing to work with a financial counselor. Before doing anything you need to have a baseline. Why do you not have enough money each month? Well, you won’t ever know unless you can determine how much you’re spending across different spending categories such as food, transportation, housing, clothing, entertainment, debt and so on. I like the spending plan template from Crown Financial Ministries. Even if you haven’t tracked your spending before and know where your money is going you can still complete the worksheet. Make some reasonable estimates for variable spending and enter the fixed spending amounts across all categories. Ideally, your spending plan will balance and every dollar should be assigned to a purpose (Net Spendable Income minus expenses should equal zero). Net Spendable Income, according to Crown, is money left over after taxes and tithe. But if doesn’t initially, that’s okay. You’re going to get there. So, now you have a baseline spending plan. Okay, so if your budget isn’t in-balance, you have to determine why. I like the Crown spending guides to determine whether or not you’re in the ball park for different spending categories. As an aside, I don’t think you have to use them as an exact science, but they’re good for helping you establish some limitations. So, identify a spending guide for your situation. Next, review your spending across the different categories and determine how the % of Net Spendable Income from the guide aligns with the % for each category in your spending plan. As you review each category some spending will surely be less than the recommended and some will be higher. You’ll want to focus on the ones that are higher first. Now that you’ve identified some areas that are potential problem areas you’ll want to ask yourself some tough questions to analyze your situation. Is the spending higher because it’s a want or a need? Do you really need the extra expense? Are you spending excessively or carelessly in certain areas? What could you do to reduce the expense? Did you over estimate the expense? Perhaps you need to lower it because it’s not realistic. Your objective in looking at these areas is to identify spending that can be reduced to become more in-line with the recommendations provided in the guide. Most likely, these areas are robbing money from other areas of your budget which you need. You should walk away from the exercise with some specific action steps to address categories that are too high or out of line with the spending guide. For example, “I will reduce entertainment expenses by $200 next month because I will only go out to eat one time per week instead of three”. Your goal at this point is to balance your budget by reducing spending using your action steps. If you’re having trouble, I have a note on financial counseling at the end of the article that may help. 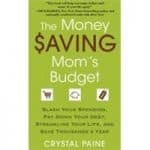 While you might have identified your spending problems there may be some areas not getting enough attention. Emergency savings is a common area. Crown recommends 5% of Net Spendable Income for savings. So, ask yourself why you can’t hit at least 5% and make some adjustments to get there. Hopefully, your steps to reduce spending will help you get such areas more in-line with the recommendations. Your initial baseline in this exercise was probably based a lot on best guesses. And that’s okay. But, to get this more accurate, you have to start tracking your spending daily by each category. After a 1-2 months you can review your spending and determine if your budget estimates by category need to be adjusted. I like the Crown spending diary for this exercise. Don’t dismiss the value of a financial counselor and know that it’s okay to seek help if any of this proves to be too difficult or becomes overwhelming. Depending on your specific situation, you may need to visit with someone in-person and work through options to overcome challenges and reduce spending. Counselors can also provide accountability and hands-on help with using the practical tools mentioned. Crown Financial Ministries offers free Money Map Coaching services. You can learn more by visiting Crown’s Money Map Coaching page.. I thought I would add in just a few other tools I think you may find helpful in analyzing your spending. You may want to check out these tools and other tools on the Crown website before getting started. What do you think of these steps to evaluate your spending decisions? Last Edited: 20th March 2018 The content of biblemoneymatters.com is for general information purposes only and does not constitute professional advice. Visitors to biblemoneymatters.com should not act upon the content or information without first seeking appropriate professional advice. In accordance with the latest FTC guidelines, we declare that we have a financial relationship with every company mentioned on this site. Put simply, if you strictly define necessary and unnecessary spending, and do your best to eliminate the latter, you should come out smellin’ like a rose, eventually.